Honestly YA: Ten authors, One love. : Can Teenage Guys and Girls be "Just Friends"? This week I have the honor of kicking-off our new theme Boyfriends or, Friends who Happen to be Boys. When I came up with this idea, I assumed it would be easy to write. I’ve already covered the boyfriend side of the equation, so I figured I’d take a whack at the other side. Surely, among the various groups of friends I had a teen, at least one of them had to be a guy, right? Sure, I had male acquaintances. A few were fairly decent pals, especially the guys I spent time with in vocal jazz class and drama club. But did I have any close guy friends, boys to whom I could confide my innermost feelings and secrets? A relationship like the one showcased in 1989’s Say Anything? No, I’m not talking about Lloyd Dobler and Diane Court. I’m talking about Lloyd’s friendship with Corey and DC. He confides in his two best girl friends who are genuinely supportive of him and help him navigate this relationship with Diane. Admit it, you can hear the song, "Joe Lies" in your head, too. Nope, I never got that lucky. The more I think about the boys I knew fairly well in high school, in nearly every instance there was some kind of romantic element to the relationship. Invariably, I had an unrequited crush on the boy; the boy was crushing on me; or somehow—usually under the influence of too many wine coolers—a guy friend and I ended up messing around on a beach or in a dark room at some party. Pop culture is filled with these types of relationships. Remember Pretty in Pink? Duckie was secretly in love with his best friend Andie, but played it off as a joke in front of her. And how about Some Kind of Wonderful? Drum playing tomboy Watts thinks her feelings for working class misfit Keith are platonic until he asks out the wealthy popular girl, Amanda. Class warfare hijinks ensue and in the end, Keith releases he’s in love with Watts, too and they live happily ever after. 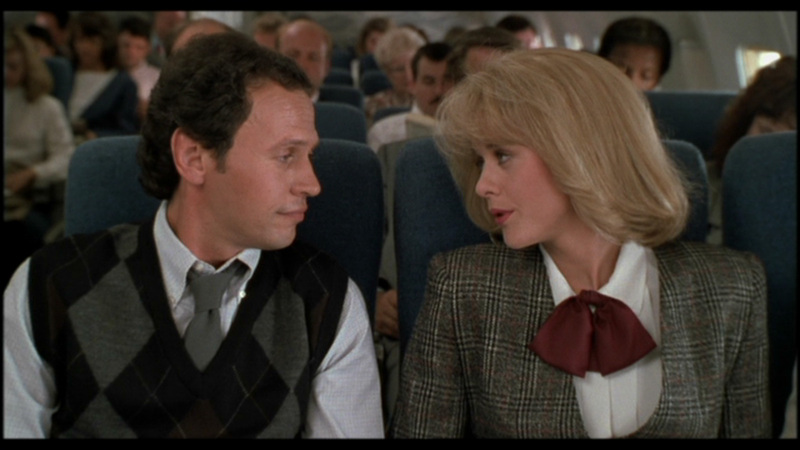 So, this reminds me of the eternal question posed in When Harry Met Sally: Can men and women ever be just friends? As an adult, I’ve come to think that yes, in some circumstances, grown-up men and women can be friends. But what about teenagers? Is it actually possible? Or are there too many raging hormones? Too much impulsivity? I hope not. I want to believe teen girls and guys can be “just friends” and have each other’s back when it matters. I think I would have benefited from a real, platonic guy friendship. I’m sure a friend-who-just-happened-to-be-a-boy could have helped me avoid some of the idiots I pined after and/or got involved with. At least, that’s what I imagine. So how about you? Did you have a good guy friend as a teenager? A friend who just happened to be a boy? Was it strictly platonic or were there secret (or not so secret) romantic feelings lurking in the background? I can’t wait to hear what you’ve got to say! You can learn more about Lea Nolan at her website, on Facebook, Twitter, and Goodreads. Her debut novel, CONJURE, is the first book in The Hoodoo Apprentice series. It will be released in mass market paperback by Entangled Publishing in October 2012 and is available for pre-order atAmazon and at Barnes and Noble. GET OUT OF MY HEAD, Lea! I was totally singing "Joe Lies" when I saw that picture! Great post. I maintain that, yes, guys and girls can be friends. I had plenty back in the day. Would those guys have agreed to a NSA makeout session? Probably. But we didn't have feelings for each other, and that's what mattered. Once you toss feelings into the mix, forget about it. I think I trusted my guy friends a whole lot more than I did my girl friends. Guys can hurt you with the truth, but it's the truth. And you move past it. But girls can hurt with lies and rumors and cattiness. And that hurts deeper for much longer. Melissa: NSA w/o any feelings? Is there such a thing? I only had one NSA attached "fun" guy friend, but I was sort of attracted to him, and him to me, otherwise we couldn't have had so much of that "fun". He was a good friend-he never breathed a word about any of our encounters-but I couldn't in good conscious add him to the platonic column. Rachel: I love that you have a contemporary that ends in the "nope" category. That's awesome. I wish girls had more examples of that to read. Not every guy and girl relationship needs to end in romance. I loved this post! 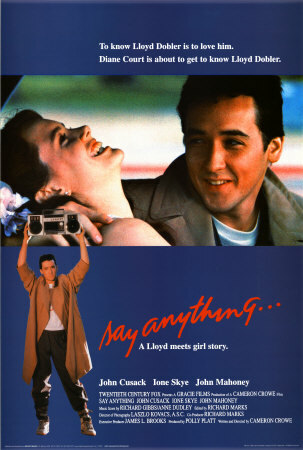 It makes me want to break out my copy of Say Anything and watch it tonight! I think guys and girls can be friends at any age as long as there isn't mutual attraction. If the attraction is unrequited, the attracted will still maintain the friend zone boundary with the attractee in order to save the friendship. Or you know, so I've heard. Hmm...this is a tough question. I think it can be challenging for men and women to be "tell each other everything" friends at any age. Every example I thought of in my past ended up with me developing feelings for the boy, vise versa or both. Maybe it only works if one of you is gay?!? I was the type of girl that most guys viewed as a "kid sister" in high school, so I had lots of guy friends and almost no boyfriends. Which suited me pretty well. Boys were easier to understand than my fellow females; if a boy didn't like you, they said so to your face instead of behind your back. They just made more sense to me. So yes, I think teenage girls and boys can definitely be "just friends". My 16-year-old daughter's best friend/other half/future roommate is a boy, and their relationship is purely platonic. Then again, he is gay, so that might make the difference... His birthday is only five days before my daughter's, and there's a third friend (another girl) whose birthday is five days after my daughter's, so we call them the "triplets" because you rarely see one of them without the other two. Yeah...um...NO! I had lots of boys who were friends, but the ones I wanted to hang out with usually ended up as more. As an adult, I do have some very nice male friends who will remain friends only forever. That feels really good and really healthy now. Kids today seem to be different. They all hang out together and do the "friend" thing quite nicely from what I've seen. Oh, sure, there are many times that they cross those lines, but I think they know something that we didn't. Lea! What a great post! Thanks for the great trip down memory lane (for me). :) Of course they can be friends, until one of them wants more. Hahahahaa. Cheers! I have seen and talked to a number of teen boys who said yes, they could be just friends with a girl. Then again, you don't really know what's going on inside their heads. But I do think it's possible, and I'll be telling why soon. Tameka - I think you're right. As soon as there's mutual attraction things get wonky. But you know, the unrequited love thing is hard, too. What if the "lover" makes the "lovee" uncomfortable? That could totally screw things up. Jo - You're totally right: Guys are probably a whole lot more upfront about stuff then girls are. That's one of the reasons I think I would have benefited from a good guy friend. And the "triplets" are adorable! How cool for them to have grown up with each other. PJ - Exactly, I had the same experience. Just when I thought we were "just friends" the guy usually wanted a little somethin' somethin' which was the opposite of what I was hoping for. Hmm, those kids today, maybe they do know something. I'll be interested to see what happens with my kids. My 12 yo daughter is just venturing into this territory now. It's terrifying! Marisa - You're hilarious, girlie! BA - I love your upcoming piece! I can't wait for everyone to read it tomorrow. @Lea- The "triplets" didn't grow up with each other; the boy and the other girl met in middle school (about 4 years ago), and they met my daughter about two and a half years ago when she started her freshman year at the high school here after we moved down from Maine. But they're as close as if they'd all known each other all their lives. Yeah . . .I can comment now:):):) So my hubby and I were 'just friends' all through h.s.--I met him when I was 14 on the first day when I walked into Word Processing Class in 4th period. Then when I came home for winter break during my first year of college we started dating and 8 months later we married (and no, I wasn't pregnant, lol--but many of our friends were beating I was). This August we'll celebrate 14 yrs of marriage bliss. Thanks for this post . . . it's fun to reminisce! I have a friend, that just happens to be a boy. We talked for ages as supposedly "just friends". I did develop a crush on him and I later built up my confidence to tell him that I did like him. He also did like me back. Unfortunately, he's popular and i'm just average therefore he would get teased if anyone found out that we talked let alone that he liked me but if I was popular I would of heard straight away. Thats just how it is these days. We have decided to be "just friends" but I still like him. He said maybe one day we can go out so I'm waiting till that day. I believe that he still likes me but I'm not sure whether I should say something because I'll probably end up making it awkward. So, I personally believe that girls and boys cannot be "just friends" as teenagers and there is a highly likely chance that there is a few crushes here and there. Some, however can be "just friends" so I don't know, it depends.